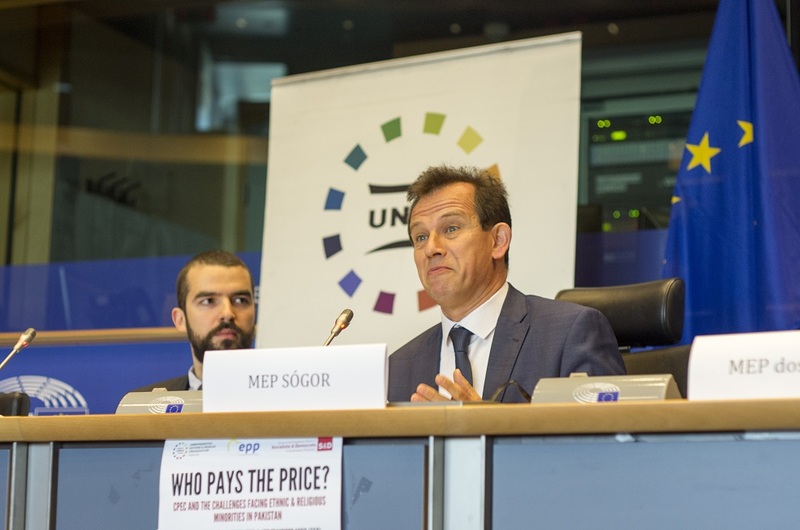 On 10 May 2017, the Unrepresented Nations and Peoples Organization (UNPO), along with Mr Csaba Sógor MEP (EPP), Mr Francisco Assis MEP (S&D) and Mahatma Gandhi International, held a conference at the European Parliament in Brussels entitled “Who Pays the Price? CPEC and the Challenges Facing Ethnic & Religious Minorities in Pakistan”. Concerning Balochistan, Sindh, and occupied Gilgit-Baltistan, the conference explored the problematic implementation of the China-Pakistan Economic Corridor (CPEC) as well as the dismal state of minority ethnic and religious rights in these regions. Over the course of three panels, speakers gave insights into the lack of civil and political rights for minorities, the detrimental costs of internationally-sponsored mega projects, and the contemporary relationship between the European Union and Pakistan. 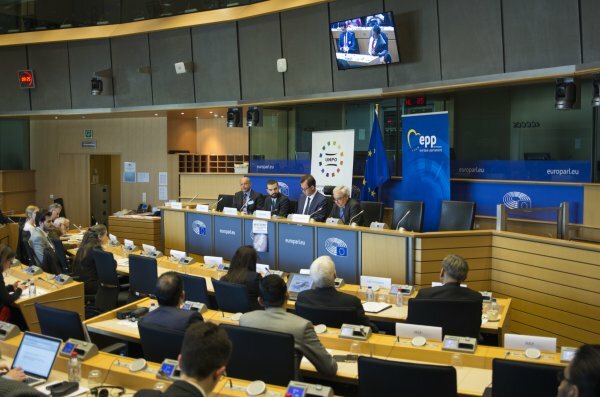 On behalf of co-host MEP Francisco Assis, MEP Manuel dos Santos, former Vice President of the European Parliament, opened the conference by welcoming the audience and voicing a sweeping sense of concern about the human rights situation for minorities in Pakistan. 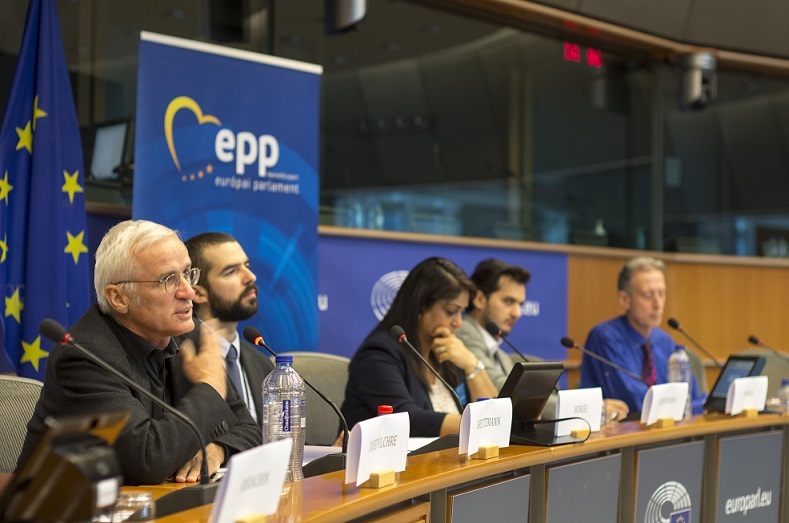 Relating his own experiences as a member of a minority community in Romania, co-host MEP Csaba Sógor stressed that the European Union should remain accountable for minority ethnic and religious rights, not just within the EU, but globally. Secretary General of UNPO Mr Marino Busdachin explained how violence is indirectly sanctioned with the complicity of Europeans via trade agreements and economic support, which then allow Islamabad’s discriminatory policies to persist. At the start of the first panel, acclaimed journalist and former editor of Pakistan’s Daily Times Mr Rashed Rahman discussed the Draconian restrictions on freedom of the press in Balochistan, where a “cloak of secrecy” means that much of the torture, unlawful imprisonment, and deaths go unreported. He delved into Pakistan’s legacy of censorship, emphasising how the very principles of journalism are proscribed: “'To speak truth to power' is under attack in Pakistan.” Mr Mirza Wajahat Hassan, the exiled Chairman of the Gilgit-Baltistan Thinkers Forum, offered a concise history of geopolitically important and long-disputed Gilgit-Baltistan, detailing the region’s exploitation at the hands of the Pakistani government as evidenced in their total exclusion from the CPEC Committee. Ms Chantelle Boduel, Human Rights Adviser at Women's Economic and Social Committee (WESTT), closed the first panel with a reminder that the “lack of transparency” in Pakistan also makes it more difficult to acquire statistics regarding violence against women. The Global Gender Gap Index ranks Pakistan 143rd out of 144 countries, with only Yemen ranking worse. Lastly, Ms Boduel reiterated what previous speakers had drawn attention to: the threatening censorship of Pakistan’s blasphemy laws, which silence political dissent, also perpetuate the vulnerable position of women – particularly rural and minority women – in Pakistan. The second panel focussed more specifically on the severe impacts of CPEC upon minorities in Pakistan. Prof Dr Hermann Kreutzmann, a professor of Human Geography at the Freie Universität Berlin, referred to the palpable lack of security in Gilgit-Baltistan due to its contested geopolitical history, which would then be exacerbated by CPEC and the encroachment of necessary infrastructure between Kashgar and Gwadar. Addressing the specific case for the Sindhis, Dr Rubina Greenwood, Chairwoman of the World Sindhi Congress (WSC), balked at the rhetoric of CPEC as a major development project which utterly fails to consult the indigenous peoples it will affect, asking “Development for whom, and at what cost?” She went on to explain that Sindhis have not been consulted about CPEC despite the plan to draw 75% of its activating energy from their region; the Pakistani government is exploiting marginalised populations and pouring funds into the megaproject whilst access to food, clean water, and education are deteriorating. 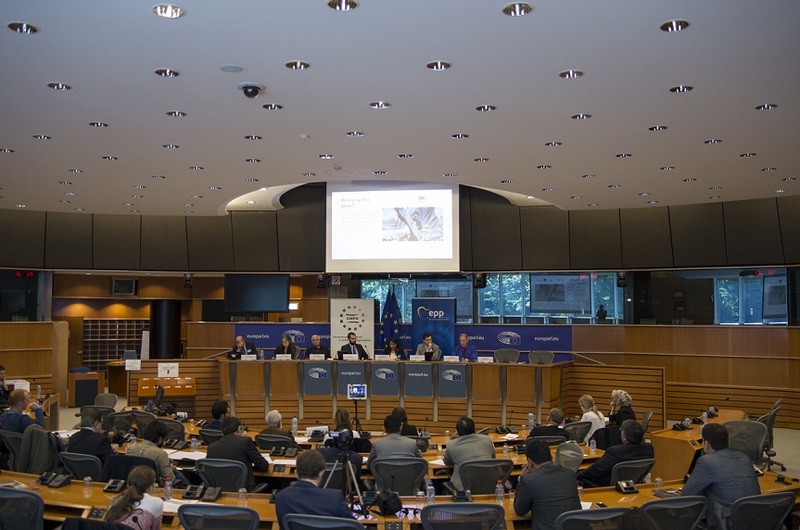 Mr Noordin Mengal, a representative of World Baloch Organisation to the EU, highlighted that CPEC is a large-scale opportunity for Pakistan to “usurp the wealth and natural resources” of Balochistan. He insisted that the world must not turn a blind eye to the mass human rights violations occurring in his region, which amount to a linguistic, ethnic, and religious genocide where the “military is judge, jury, and executioner.” Bringing the second panel to a close was Mr Peter Tatchell, Director of the Peter Tatchell Foundation, who benchmarked a road map for peace & self-determination for Balochistan and called for the right to self-determination for the Baloch as enshrined in the UN Charter. The third and final panel featured perspectives on the economic and political relationship between the European Union and Pakistan, following several recommendations from earlier panels regarding future engagement between the two. 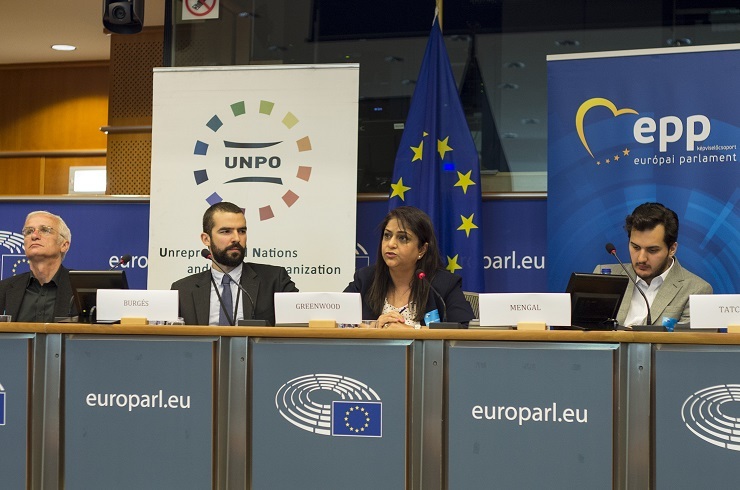 As the Desk Officer for Pakistan at the European External Action Service (EEAS), Ms Ann Vanhout was able to provide insight on the contemporary modes of facilitation and cooperation between the EU and Pakistan. Acknowledging that Pakistan has a complex history and diverse civil society, she maintained that human rights and freedom of expression are both of high importance to the EU and will factor into the future relationship with Pakistan. As the final speaker, Ms Gaëlle Dusepulchre, the International Federation for Human Rights (FIDH) permanent representative to the European Union, underlined the significance of increased dialogue between Pakistan and the EU with regards to the Generalised Scheme of Preferences (GSP+). She maintained an important point mentioned by MEP Sógor – that while there are ongoing human rights violations within the EU, it is difficult for the EU to condemn all states it provides aid to on that same basis. However, Ms Dusepulchre reaffirmed that we cannot only stand by the positive aspects of the GSP+, we must remain critical – particularly when the rights of minorities are being denied – in order to make these instruments work better. Programme Manager of UNPO Mr Fernando Burgés brought the conference to a close, specifying that the condition of human rights in the regions of Sindh, Balochistan, and Gilgit-Baltistan continues to worsen. He reiterated that a main concern should be the destabilising potential of CPEC and similar megaprojects, and particularly their capacity to exacerbate an already-precarious situation for ethnic and religious minorities. Additionally, with Europe acting as one of Pakistan’s primary stakeholders, he indicated that constructive actions must be taken to ensure the protection of Pakistan’s most vulnerable populations. 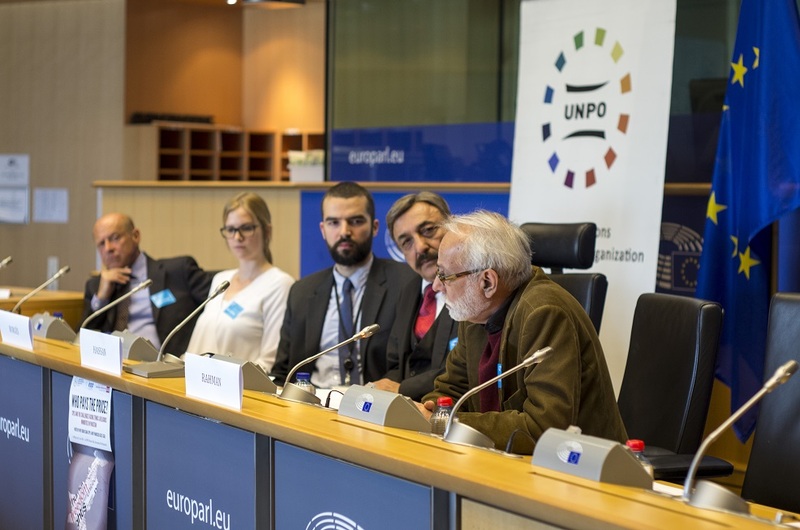 This conference allowed representatives from regional organisations, journalists, academic experts, and EU institutional officials to gather and cover an extensive array of vital matters affecting the ethnic and religious minorities in Pakistan. Though there was limited time for Questions & Answers, a compelling exchange of views followed the conference programme and made clear the necessity of continued and increased dialogue between all parties. Also watch out small interviews with some of the speakers after the conference: Rashed Rahman, Rubina Greenwood, Peter Tatchell and Noordin Mengal.